For the past few weeks, I have been waiting on this movie to be returned at Family Video. Evidently, the powers that be decided to keep it out of sight. Fortunately, when I went in last night it was sitting there on the shelf waiting on me to pick it up. 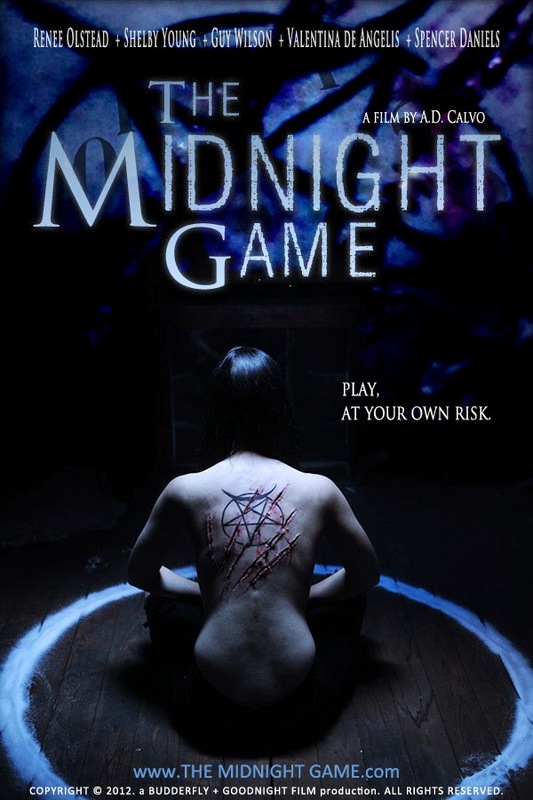 That movie (and my next review) is on the 2013 independent flick, The Midnight Game. Plot/ After playing a pagan ritual on a dare, a group of high school students find themselves trapped in an endless cycle of their worst fears. Earlier today, I finally finished my last quiz in art history. While it was not the 100 percent that I pulled in the first three, a 96 is not bad. Of course, I believe I know the one I missed and I probably changed it from right to wrong, something that frustrates me on many levels. 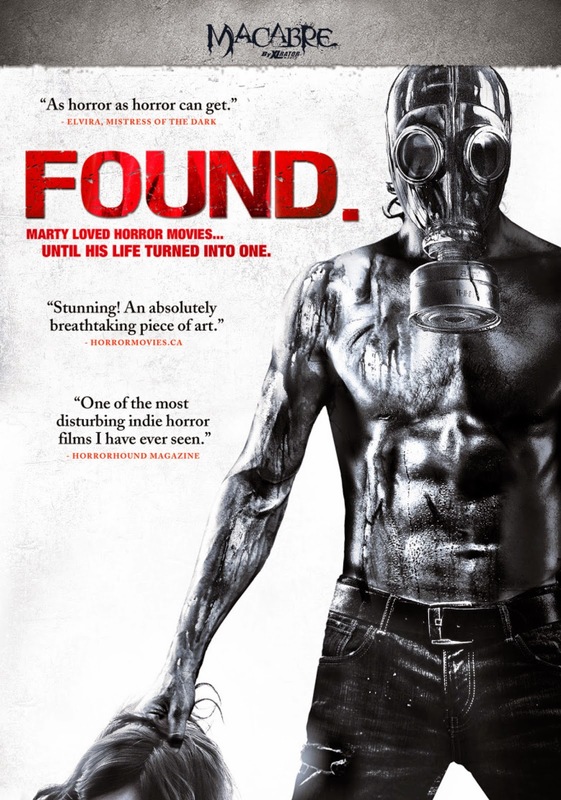 Now, time to get back to the blog, with a review of the 2012 low budget flick Found. After another busy week with homework, soccer, and softball, it is time to find something interesting to watch. After deciding to pass on the continuation of my Fringe marathon, I decided that I wanted to venture into the darker world of serial killers. 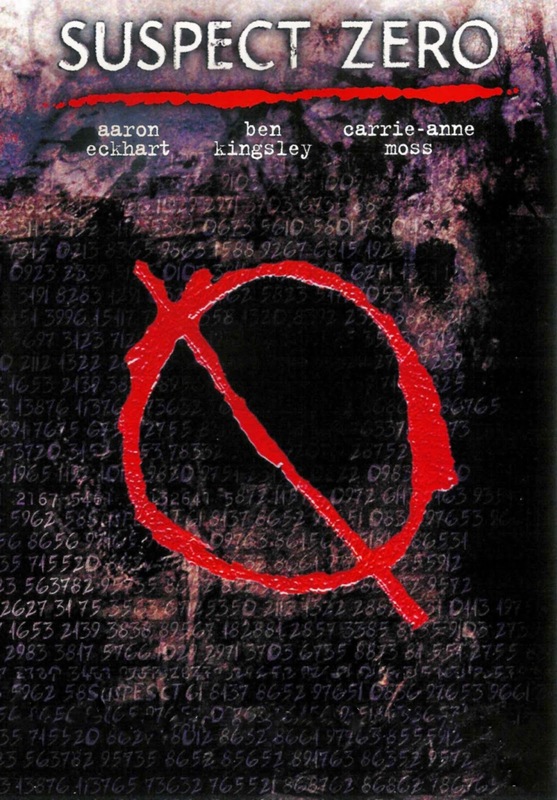 My selection for the evening is the 2004 horror/thriller Suspect Zero. Plot/ A mysterious serial killer is hunting other serial killers - and one FBI agent suspects there may be more to the vigilante than they imagine. Now that out whirlwind trip to North Carolina is behind us, it is time to dive back into the blog. To get there, I had to find something to watch. After some debate, I decided to venture into the strange world of reincarnation. 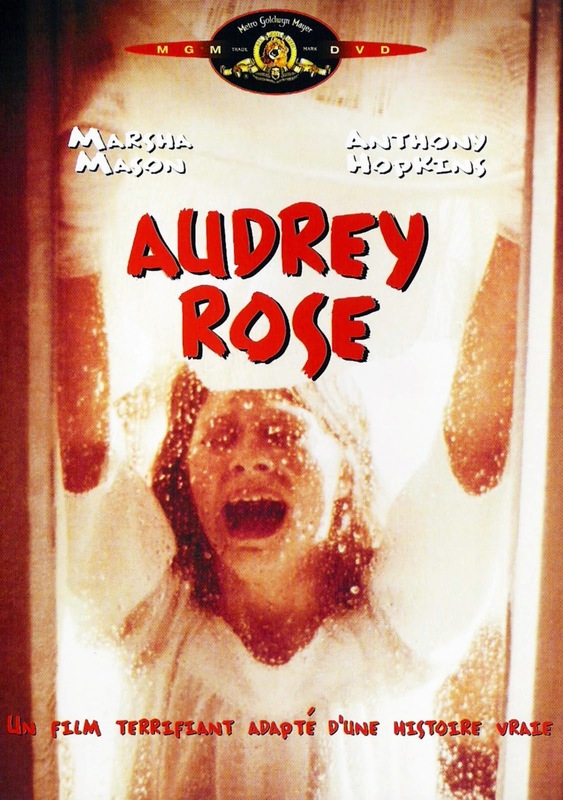 With that in mind, I decided on the 1977 film Audrey Rose. Plot/ A stranger attempts to convince a happily married couple that their daughter is actually his daughter reincarnated. Every once in a while I decide to journey back into my youth a re-watch one of the flicks that helped shape who I am today. Last night, I had one of those moments and found the perfect movie to quench my desire. Of course, it also provided some much-needed relaxation after a day of softball and my first feeble attempts at defeating the skeleton king (Diablo III). 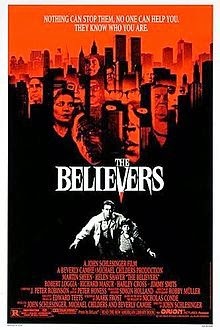 That movie was the 1987 entry, The Believers. Plot/ A New York psychiatrist finds that a voodoo cult, which believes in child sacrifice, has a keen interest in his own son. Although I have had some entertaining moments over the past couple days, I was definitely busy between high school football games, middle school soccer, softball and band performances. When you throw in some Diablo III, it is easy to see how I did not get to the blog. Of course, it would also be because I am trying to finish Fringe as well. 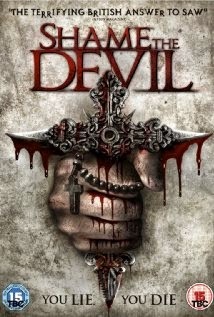 Next up for review is the 2013 British entry Shame the Devil. Plot/ A London detective tracking a serial killer finds the killers "truth or die" methods take him to New York to solve the case. As an investigator in the field of Cryptozoology, Bigfoot has been one of my favorite creatures to research. That being said, the legendary cryptid also finds his way onto my must watch list, as I cannot get enough of Sasquatch themed movies and documentaries. While those movies can never compare to field research, they at least hold me in check until I can get back out into the field. 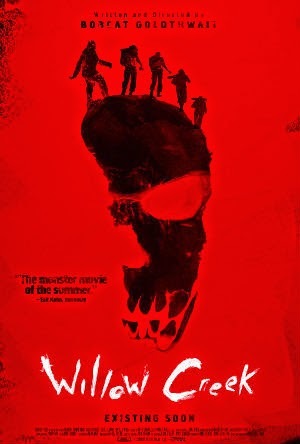 The next movie in the genre for me to review is the 2013 indie flick Willow Creek. While I did spend some time playing Murdered last night, I spent the majority of my time watching both Fringe and Zero Hour. Yes, both television shows are interesting and both open up some very intriguing questions, but sometimes I need something more mindless. In those moments, I dig into some of the horror I have on hand. 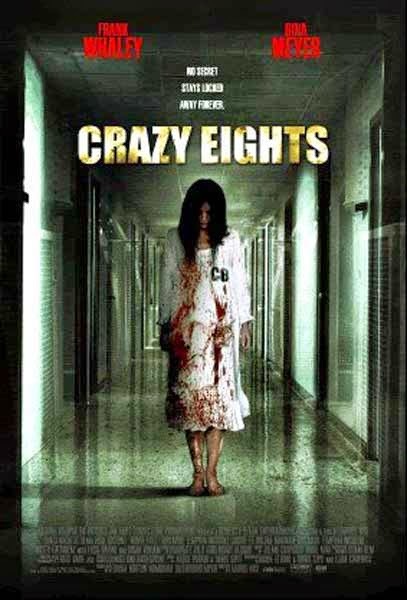 That is the case with my next review, part of the 2006 After Dark Horrorfest, Crazy Eights. Plot/ Six people are brought together at the funeral of a childhood friend. While settling the estate, they discover a map, which leads them on a search for a long forgotten time capsule, at the request of their dead friend. What they discover reawakens repressed childhood traumas and leads them on a journey through their long abandoned childhood home: a home with a terrible secret and a mysterious dead girl who will lead them to their strange fates. Every once in a while there are movies that seem to pop up around every corner, and you cannot rid yourself of them until you watch them. This week I experienced one of those movies, Odd Thomas. Now after some thought, here is the review. Plot/ In a California desert town, a short-order cook with clairvoyant abilities encounters a mysterious man with a link to dark, threatening forces. After last night’s late adventure to see Rocky Horror, I spent the day recovering. It has been a long time since I was pulling into the house at 4 A.M., but it was well worth it. While I am watching some flicks tonight, I do have a couple to finish reviews on. 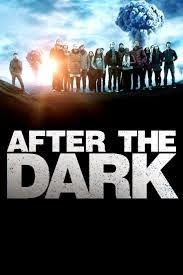 The next one from that category is 2013s After the Dark (AKA The Philosophers). Plot/ At an international school in Jakarta, a philosophy teacher challenges his class of twenty graduating seniors to choose which ten of them would take shelter underground and reboot the human race in the event of a nuclear apocalypse. Last night was awesome! Finally, after three years here in Pennsylvania, we made our way to another showing of the cult classic, The Rocky Horror Picture Show. 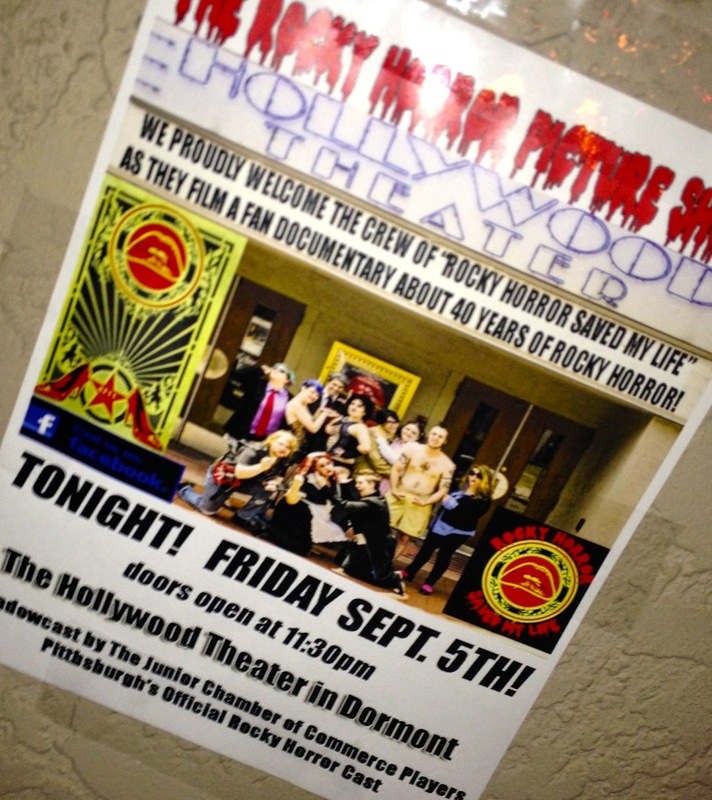 This showing, at the Hollywood Theater in Dormont, was backed by the Junior Chamber of Commerce Players (steelcityrockyhorror.com), who were tremendous. This performance will ale be part of a documentary in the film, Rocky Horror Saved My Life, which was filming throughout. The atmosphere rocked, the people friendly, and all had a good time. Plus, what made this showing even better was the fact that we decided to take three of the daughters to it for their first time. Sure, because of their ages, they did not take part in some of the early fanfare, but I am sure, their lives were changed for the better after experiencing the awesomeness of Rocky Horror with a cast. Last week, I posted the first video digest, featuring the 2012 Fayette County Bigfoot Expedition. While that was an eventful outing, the evidence was nowhere near as shocking as what was discovered in the second installment of Illuminating the Abyss: pig mutilations. In the strange world that exists around us, there are chances to experience the unknown around every corner. Sci-Fi flicks are always hard to figure out. Sometimes they present storylines that are so far out, there is no way they could be true. Other times, they tackle subject matter that could become reality (or already exists), a fact that can make for an eerie trip into its world. Next up is another Sci-Fi movie, the 2014 A.I. entry Transcendence. 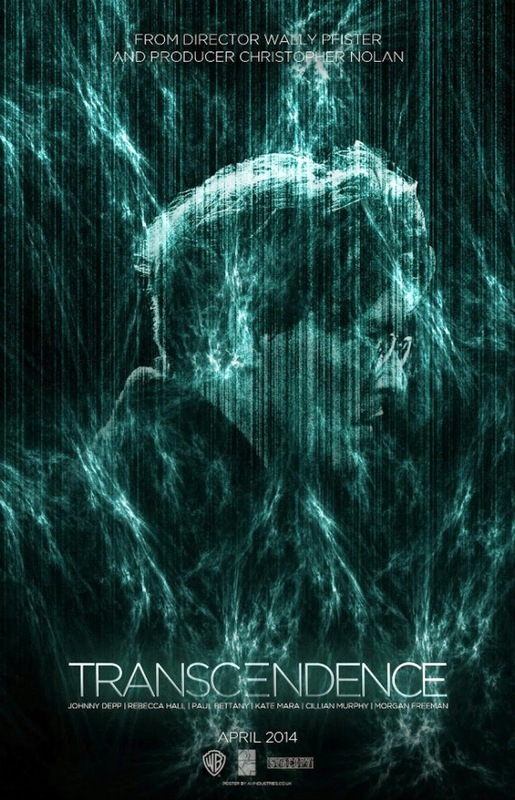 Plot/ A scientist's drive for artificial intelligence, takes on dangerous implications when his consciousness is uploaded into one such program.